Fallen jacaranda blossoms at Occidental College. 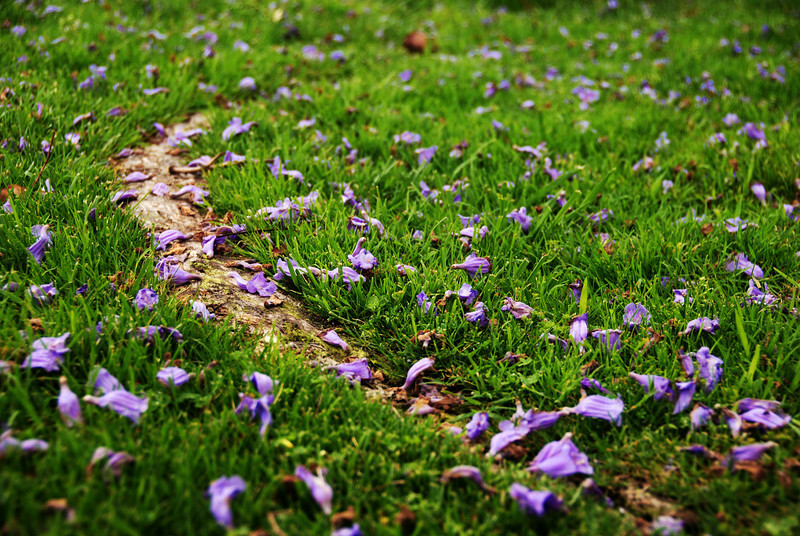 I liked how the root of the jacaranda tree curved through the grass. LA has a ton of these trees and they're quite beautiful when they bloom. Sadly the blossoms get all sticky when they fall and they're a terrible mess. I used levels, curves and hue/saturation to make the photo much more vivid than the original.